At some point in their lives, 80% of Americans will have an attack of back pain or neck pain. Worse, once you have your first back pain attack, you are four times more likely to have a recurrence. That’s the bad news. The good news is that in the vast majority of cases, back pain or neck pain symptoms will go away on their own in a week or so. Other times, when the pain symptoms persist for longer than a week, most of these cases will also improve with some customized stretches that restore movement to inflamed ligaments and muscles, anti-inflammatories or spinal injections that relieve pain long enough to get moving again. The root issue, however, is that for common acute back pain symptoms that do not involve nerve damage (numbness, weakness or pain in an arm or leg) physicians don’t know for sure which patients will respond to non-surgical treatment options, and which problems require more “invasive” treatment, such as spine surgery. Consequently, the best spine care exhausts non-surgical treatment options for back and neck pain before spine surgery is considered. With back and neck pain so widespread, often those with back pain symptoms end up making a pilgrimage to multiple locations, from a chiropractor office, to their family practice physician, to then a referral to a spine specialist for an MRI and other diagnostics. For the person with an aching back, the journey to multiple locations to suffer through a variety of conflicting opinions and treatment plans can be a major headache on top of a backache. Thankfully, for those in Philadelphia and South Jersey, we are positioned to help. Liberty Spine Care includes the expertise of a fellowship-trained spine surgeon, along with affiliated non-surgical spine MDs, experienced in spine and on-the-job injury, and affiliated spine-specialized physical therapists. What makes Liberty Spine Care unique is its emphasis on non-surgical treatment options for back and neck problems. Additionally, Liberty Spine Care also recognizes the role played by chiropractors in providing patients another nonsurgical treatment option before surgery is considered. The Liberty Spine Care caring physician and staff have successfully helped many patients return to an active lifestyle with conservative care options. 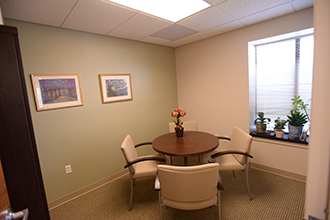 Dr. Valentino excels in designing patient specific treatment options. Surgery is recommended as a last resort when non surgical options have failed to resolve symptoms. Unfortunately, there can be a lack of coordination among the different specialists treating back and neck conditions. Sadly, health insurance medical directors often complain that a single back pain patient can see 10 different doctors and receive 10 different diagnoses and 10 different treatment recommendations. Because these spine specialists are often spread across towns or regions, there is typically no communication between them about a specific patient. This means that a patient will often travel from doctors office to doctors office, having to start from scratch with his or her story to build a new medical chart from scratch. Thirdly, because non-surgical treatment options are poorly designed, it predestines the patient to failure of conservative non-surgical care. And when non-surgical options fail, this forces the patient to resort to surgery, in many cases, unnecessarily. An unnecessary spine surgery can unfortunately just create a bigger nightmare for the person, as scarring around a nerve root from surgery can create “failed back surgery syndrome” which is worse than any original pain symptom. Liberty Spine Care emphasizes nonsurgical treatment options like spinal injections that can relieve the symptoms of a herniated or bulging disc. Through the use of an epidural steroid injection, the spine specialist is able to reduce inflammation around a nerve root. This in turn can relieve the symptoms of radiating pain into a leg or arm, or deficit (weakness or numbness in a hand or foot). Because Liberty Spine Care develops comprehensive treatment plans for each patient, this helps prevent redundancy or duplication of effort. 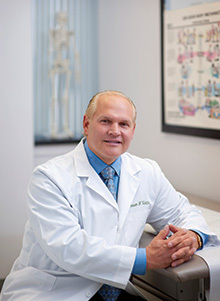 Dr. Steven Valentino works closely with outside specialists in Physical Medicine and Rehabilitation, pain management anesthesiologists and spine specialist therapists who also provide complementary and multi-disciplinary treatment options for patients. The physicians involved communicate and blend their expertise for the benefit of the patient. As a result, these spine specialists are often able to help many patients resolve their back or neck pain symptoms without the need for spine surgery. When all nonsurgical treatment options fail to provide relief of symptoms, we emphasize minimally invasive spine surgery which shortens the incision, reduces time in the hospital, lessens pain during rehab, and speeds the return to activity and one’s work. 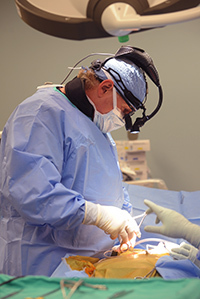 Dr. Valentino prefers to use a minimally invasive surgery technique when it is appropriate for the patient — for the benefit of the patient. Sometimes, spine surgery is the right treatment. This may occur because symptoms of radiating pain have not responded to non-surgical treatment options like injection therapy or customized spine physical therapy. In other cases, some symptoms like weakness or numbness in a leg or hand, or loss of control of bowel or bladder, represent emergency symptoms where back or neck surgery must be done quickly to prevent permanent paralysis of the nerves that relate to these muscles or extremities. If your back or neck problem requires surgery, Liberty Spine Care includes a fellowship-trained orthopedic spine surgeon who is already referred complex surgical cases from across New Jersey and Pennsylvania. These spine surgery cases can include herniated discs, spinal fractures, degenerative disc disease, facet joint problems and other complex spine problems. Pain is a signal from the body to the brain that something is wrong. Either the back is too weak, too inflexible, something lifted was too heavy or the wrong body mechanics were used. And, unfortunately, those doctors who focus exclusively on pain symptoms often recommend a course of treatment that is the exact opposite of what the individual needs to recover from the back problem. Years ago, for example, doctors treated back pain with bed rest and heavy drugs to mask the discomfort. It was found, however, that this type of treatment was actually damaging to the back, because it caused muscles in the back to get weaker, in turn, causing more strain and pain. Patients became more dependent on drugs and grew more inactive and disabled. In fact, pain relief actually can come through movement. Low-impact sports like walking and swimming are the best way to make the back feel better and stronger. Liberty Spine Care uses written clinical protocols to improve care and reduce treatment variation — the essence of true quality management. This enables us to make sure the right thing is done at the right time, every time. This also makes sure that every nonsurgical option has been explored — such as therapy and injections — before spine surgery is considered. While others talk about quality, we measure outcomes with patient severity data at intake and functional status post treatment. Lastly, we audit patient satisfaction so we can continually improve, because that's what quality is all about.